The Advanced Hazmat Life Support (AHLS) Provider is a 16-hour, two-day course that teaches healthcare professionals to medically manage patients exposed to hazardous materials, including chemical, biological and radiological incidents. Participants learn to medically manage patients exposed to hazardous materials by recognizing the signs and symptoms. Healthcare professionals receive a four-year verification status upon successful completion of the course. This course covers hazardous materials including insecticides, corrosives, irritant gases, asphyxiants, hydrocarbons and substituted hydrocarbons and chemical, biological, radiological and nuclear agents. Specific antidotes and their indications, contraindications, dosing and route are also included. Non-medical personnel are eligible to attend the Provider course. However, non-medical personnel will not be verified as AHLS Providers, but will receive a certificate of completion and continuing education credits provided solely by AHLS. Emergency Medical Responders (EMR), Emergency Medical Technicians (EMT), and EMT-B are eligible to attend the Provider course. 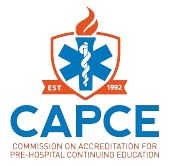 These participant types will not be verified as AHLS Providers, but will receive a certificate of completion and continuing education credits from the CAPCE for U.S. based courses. Respiratory Therapists can become verified Providers. They are also eligible to become instructors on a case-by-case basis. Approval to take the Instructor Course will be decided by the Administrative Policy Committee upon review of the candidate’s credentials. The University of Arizona College of Medicine – Tucson designates this live activity for a maximum of 16.25 AMA PRA Category 1 Credit(s)™. 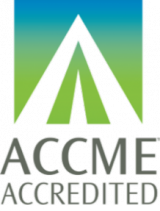 Credit Designation Statement – Amedco LLC designates this live activity for a maximum of 16.25 knowledge-based contact hours for pharmacists. Pharmacists participating in the entire program and completing the post test will be awarded credit. No partial credit will be available.